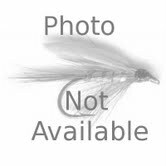 G Loomis Trout/Panfish Spinning Fishing Rod TSR691S-1 If you're into ultra-light fishing in a little deeper and swifter water, this is the right rod. It is incredibly light weight and a subtle power that makes fishing larger creeks and small streams very enjoyable. This is a good choice for a young angler. It's forgiving, yet it will handle surprisingly large fish. This rod was coupled with a Shimano Ci4 1000 micro-line reel and 5# Power Pro baided line. It is by far the best ultralight rig I have ever used. It casts tiny lures a country mile, is very sensitive, but not so stiff that there is no contest in fighting fish. Hooksets are immediate because of the rod's backbone and the no-stretch braid. I loaned it to my regular fishing buddy who told me it is the sweetest rod he ever used. He laughed when I asked if I would ever get it back.